If your garage door system isn’t working, or you’re looking for professional help with upgrading or installing a new system, our team is ready to help. We provide a full range of services from replacing broken springs to installing new doors and drive systems. You can rely on Garage Door Repair Bronxville to deliver high quality services at short notice, and to provide reliable safety in everything they do. We know how much of a problem a broken garage door can be, and how disruptive it can be to your plans. Our team is ready to provide same day emergency services to get your system working properly once more. In addition to this, our technicians also provide appointments on the weekend; no matter what day you need our help, our team will be there. With more than a decade of experience in this industry, quality is incredibly important to us. With this in mind we’re never happy to compromise on it; our technicians are only happy to use components that they’d happily use in their own homes. This means working with top brand names like Clopay, Windsor and Chamberlain, to name just a few. Thanks to our long working relationship with these brands, it’s within our purview to also offer brand name replacements components when carrying out repairs, so you won’t have to make do with substandard third-party parts. 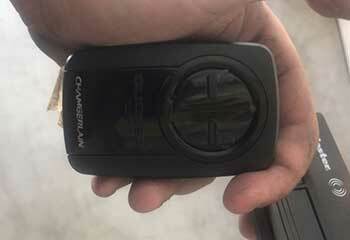 In many ways the most crucial part of your garage door system is the opener. Without this, the whole system can’t function, so any issues have the potential to make your automatic door completely unusable. Our team has years of experience dealing with faulty opener systems of all types, so our technicians can quickly identify a malfunctioning circuit board or a broken drive gear. This is especially important as the automatic opener is responsible for many of the door’s security features; you can trust our team to ensure these are functioning correctly and keeping you safe. If your existing automatic overhead door has been damaged, or you’re looking to upgrade to a new one, our team is ready to help. Our technicians are able to offer invaluable advice throughout the process of choosing a new garage door, such as which materials are best and what designs you can choose from. Once you’ve made a choice, our team will handle the entire installation process from start to finish, ensuring that all everything is installed to the highest standards. With us you can get new garage doors from a huge range of suppliers and in a wide selection of materials, from aluminum and steel to wood and wrought iron. 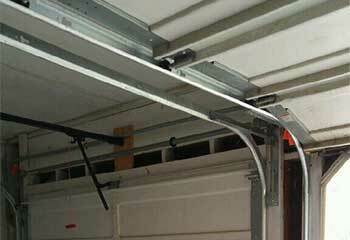 All garage doors require a set of springs in order to work. These components are under a lot of pressure day after day, and are required to work hard throughout their life. Eventually they’ll wear out, which can be bad news for your garage door. Doors that are starting to sag or sway should immediately have their springs inspected by our technicians for any signs of wear. If these springs are allowed to wear out until they break, the door will simply slam shut - this can be very dangerous. Never try to replace these springs yourself, since they’re under such a lot of tension that they can easily cause injury. There are plenty of different issues you can encounter with your home’s door system, from faulty safety sensors to broken drive gears. It’s often tricky to work out exactly what’s gone wrong, but thanks to our technicians’ many years of experience they’re able to quickly pinpoint the issue at hand and make sure it’s solved as quickly as possible. Many of the problems that garage doors suffer from do not occur overnight; they build up gradually over many months and years. In many cases, regular maintenance can significantly extend the service life of your door components. Our technicians provide intensive maintenance services that will identify any worn or damaged components, and will apply lubrication to any moving parts in need of it. This keeps your garage door working safely and also helps to prevent more costly problems further down the line. Have a look at our latest projects below. A customer called us to fix their opener remote control. This customer couldn’t determine the problem, so they called us. 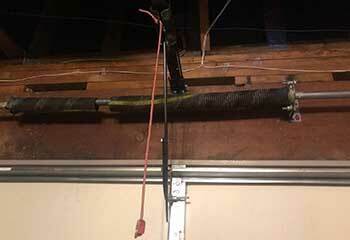 A customer’s torsion spring broke, and we were there to help. I really caught a break when I found your company. Your affordable prices, professional and efficient work and great customer service are to be commended. Thanks a lot! I’m so thankful to you for giving our old garage door a new life with a replacement panel. Your service was excellent from start to finish. Thanks! I’m mind blown that you got a new panel that matches our old door. You guys did an awesome job and I really appreciate your excellent service! Our company takes great pride in our ability to help our customers with all sorts of different garage door-related problems. We can perform anything from repair to installation in a timely fashion and without taking any unnecessary risks. Check out the rest of our website to learn what we can offer you. When you hire Garage Door Repair White Plains, you get the best service, the best products and the best results on every call! Thank you for choosing Garage Door Repair White Plains! One of our experts will be in touch soon. Feel free to browse our website for FAQ, tips and more useful information in the meantime!